We understand that you are too busy running your business to constantly check all the various search engines for keyword rankings. So, simply tell us what keywords you would like to monitor and our system will track your SEO performance and historical search rankings for each word, while you focus on your company. Although Google is the most popular search engine for potential clients to find you, there are several others that get a large amount of traffic. 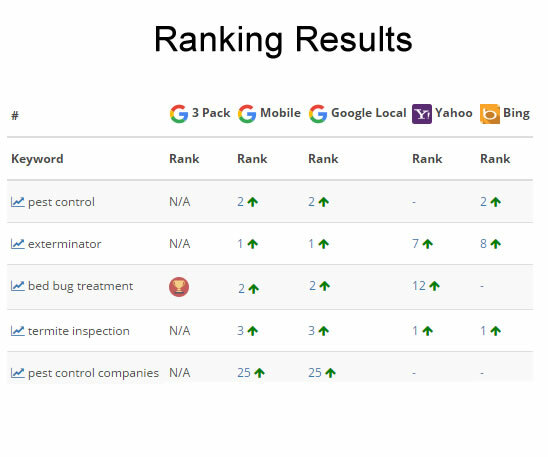 Our system searches Google Local, Yahoo Local, Bing Local and Google Mobile to see how you are ranking. By offering a variety of search engine monitoring, we help you get every last client possible. To ensure that the information provided is always accurate and to see your listings in action, we offer a verification system for each ranking. Simply click on the “Visit” icon beside the URL and you will be brought to the search engine to see exactly where you stand. 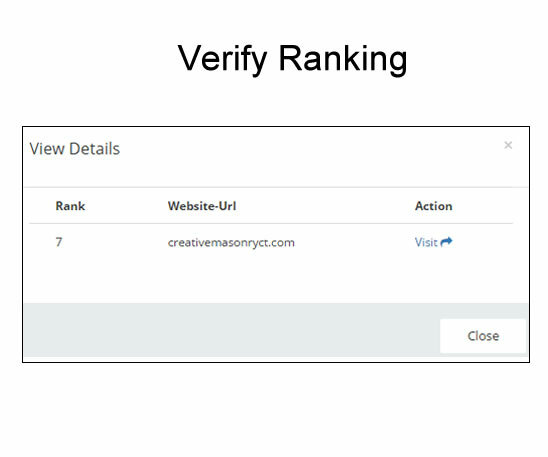 A great tool to let you know the ranking data is always up to date. Our dashboard is built for simplicity so that you can easily understand the information presented. The rankings are clearly broken down by the keyword, the position that you hold and divided into each search engine. Our solution is easy to use for anybody, even those without much technical experience. SEO is not just about where you currently rank, it is about where you rank in comparison to the last week, month or year. Since rising in the SEO rank is a process, our platform lets you compare where you were ranking for each search engine in any timeframe. This way, you can know when you are improving your SEO rank and on the way to the top! Find out where you rank on all the major search engines with our well organized and presented system. Register today for your 30 day free trial to receive this comprehensive monitoring system. 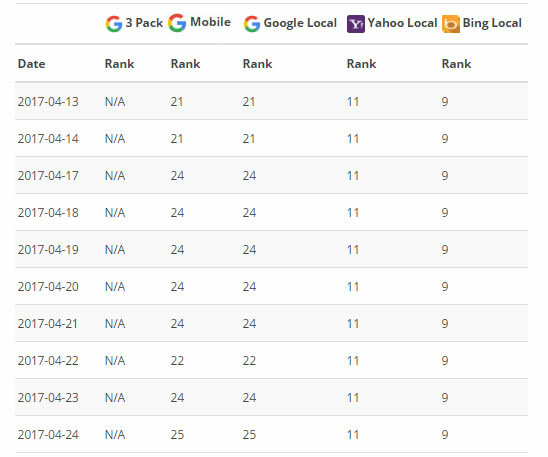 Our ranking tracker lets you know when you are on the right path to rising in the local SEO rankings so that you can continue on with the right keywords to continue seeing your client base grow!